The Seattle Metaphysical Library (legally known as the AS-YOU-LIKE-IT Library) was established in Seattle in 1961.We have grown over the past five decades to hold over 14,000 books plus many hundreds of audio and video tapes, CDs, DVDs, magazines and newspaper clippings on a variety of metaphysical and spiritual topics, as well as material selected to help remove the Veil of Maya - the veil of illusion - from our eyes. We are an independent resource center providing esoteric and alternative material and events to support personal growth to enhance our understanding of ourselves, the universe and our place in it. We are open to the public. There is no charge for browsing the materials or reading at our location. Operating expenses are paid for by our subscribers, who are able to borrow material. Find out more about becoming a supporter. here. We also host a variety of ongoing events and groups - see a listing on the right, and details on our Events page. please note: volunteer hours are shifting. If you are traveling a long distance, please call to confirm that we are open on Mondays or Tuesdays. We are also open by appointment and happenstance. Please call ahead if you are making a special trip. Also, dont be shy about calling to see if you can get an appointment for another time. There are several of us who live close by and may be able to meet you at other hours. Remember, if you are making a special trip or traveling a long distance to visit us, please call first. We are all volunteers, and sometimes it happens that we cannot be here as scheduled. Click Here to see some of the books we have for sale. 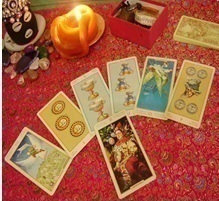 Our regular staff / volunteer meetings happen on the same Saturday of each each month as the Tarot class, usually but not alwasy the third Saturday, starting at 6:45 pm. Sometimes we meet at a local coffee house, other times at the Library. This is a good opportunity to meet the other volunteers, to become involved in the discussions, put forth suggestions and offer help. If you are attending the first time, or after a long hiatus, please call and let us know ahead of time that we will be having a new person at the meeting. All are welcome, but our agendas must be revised if we have someone that needs more background than normal for the meeting. Visit our CafePress Store and buy S.M.L. Logo T-Shirts and Merchandise. A great way to support and help promote the Library! We are always interested in reliable volunteers who care about the Library. Meet other people with the same esoteric interests that you have. The Library has over 13,000 books, and they need to stay organized by category - volunteering is a great way to see what the Library has to offer. We also need help with publicity and fundraising. E-mail us or stop by if interested. We are a library, not a bookstore. We occassionally sell a few books which have been donated and will not fit in our small space. Stop by and browse, we have some great titles available right now, and they are all very reasonably priced, most in the $2 - $4 range. 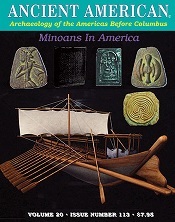 Mind-Body Healing, Rife Technologies, Goddess Studies, Ancient Egypt, Alternative Health, Ayervedic Medicine, Christianity, Buddhism, Art, Chinese Philosophy, UFOs, Gender Studies, Parapsychology, Dead Sea Scrolls, New Physics, Rudolf Steiner, Alchemy, Astronomy, Shamanism, Sufism, Qabbala, Herbalism, Ancient Near East, Atlantis, Pre-Columbian America, Theosophy, Magik, Tarot, Near Death research, Tibetan Buddhism, History, Politics and Conspiracies, Secret Societies, Occult Fiction, Science Fiction, Tesla Technologies, Edgar Cayce, Comparative Religion, Yoga, Consciousness Studies, and much more! For a detailed list of topics please see our Booklist page. Some people have difficulty finding our location, or a place to park. With good reason! We are located in the basement of the Kress Building, in Ballard. Our landlord will not allow us to put a sign on the building, so the only way you can find us is to know what glass door to look into! When we are open, there should be a sandwich board sign on the street with our name and logo. The Market Street entrance is a glass door between Bop Street Records and The Pie Shop. Stairs lead down to the lower level. Sometimes our neighbors in the building lock it as they leave, even though we are still open. If the front entrance on Market Street is locked, and our sandwich board sign is out on the street, try the 56th Street entrance, at the back of the building and go down two flights of stairs to the basement. 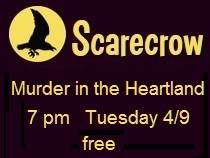 The Seattle Metaphysical Library is a participant in the Amazon Services LLC Associates Program, an affiliate advertising program designed to provide a means for sites to earn advertising fees by advertising and linking to amazon.com.